Topic: Vampire Counts Troop Choice : Fun to Model and Paint? Re: Vampire Counts Troop Choice : Fun to Model and Paint? Topic: Hello from NoVA, another Heretic arrives. Re: Hello from NoVA, another Heretic arrives. Topic: Chaos Space Marine Models no longer available? Re: Chaos Space Marine Models no longer available? Garnack, did the new book include any rules for incorporating Cataphractii armor and Contemptors like Angels of Death did? Cheapy McCheap (me) doesn't want to buy just to find out. Well, there goes an hour and a half! Enjoy! 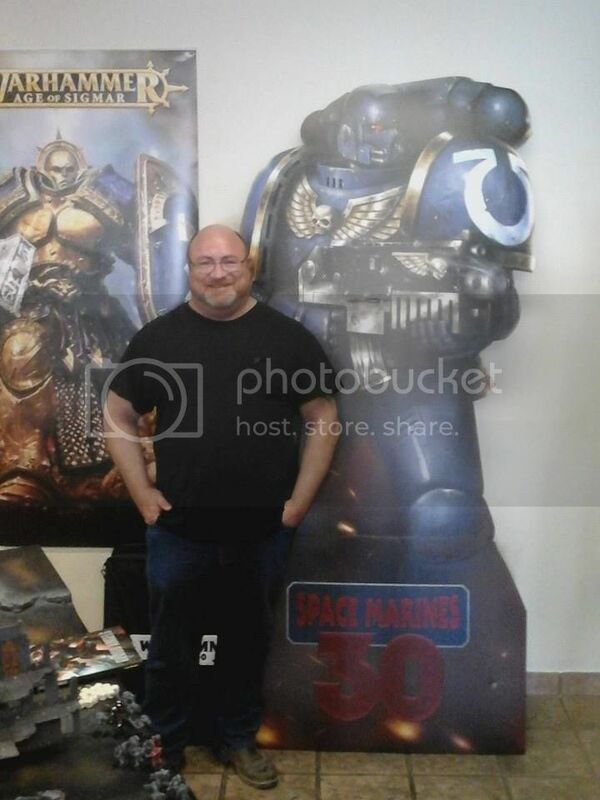 Some idiot won a Space Marine standee! And yes, I have it in the painting shed. I hope to rig some sort of display shelving around it for my own miniatures. I think a 30 Year Anniv. Marine Challenge was in the works? I didn't get squat done this past week. Too much happening at work. my job is instructing; we were given 90 days to develop a course from scratch; last week was teaching week 1. I had podium three days so that took most of my energy. Strip rhino. Continue build on Titan. Continue work on Dread. Continue final details on five man squad.